“Art & Design is one subject where visual skills come first”. At Brownlow Integrated College we believe that Art has a significant role to play in pupil’s development, contributing to the general quality and morale of school life. Through experiences gained in Art and Design pupils are encouraged to experiment in a wide range of diverse skills and processes. Pupils have the opportunity to express themselves in their work, which includes drawing, painting, textile art, and ceramics. We want all our pupils to have a ‘voice’ by interpreting and talking about inspirations and experiences. This promotes confidence and key communication skills. Researching the work of other Artists and cultures, pupils develop an appreciation for the world around them and how to see the same subject in many ways. We also like to promote and encourage a sense of community through shared events such as exhibitions, concerts and plays throughout the school year. Through Art & Design our pupils experience a rich and varied education with opportunities to explore, experience and celebrate success on many fronts. Stimulate interest and awareness of creative and expressive potential. Introduce pupils to a wide range of media and skills. To encourage pupils to express and develop imagination. To provide an environment where pupils can be creative, imaginative and selective in their use of Art and Design materials, tools and processes. Pupils combine the visual elements to record observations and to express and communicate ideas and feelings. To extend pupils experiences, encouraging them to make informed and critical comments about their work and the work of others. 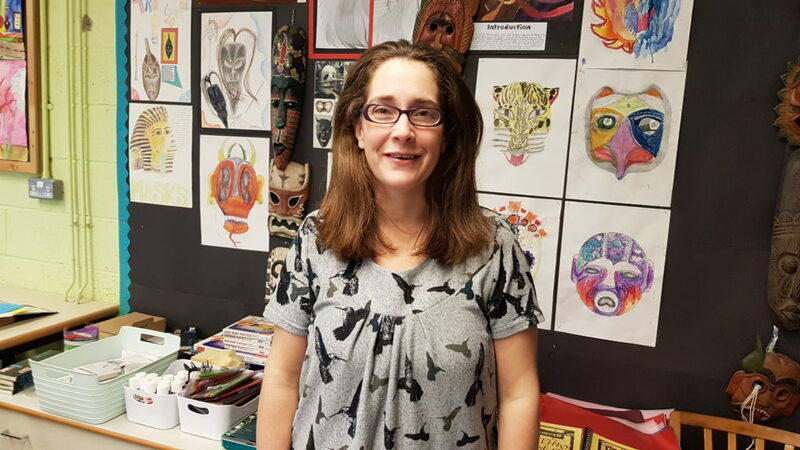 Pupils will explore the areas portrait drawing, colour mixing and experimenting with mixed media, masks from around the world, architecture, ceramics, textile art. G.C.S.E Art and Design - Through the areas covered in KS3 pupils have established the foundations for KS4. At this level, pupils are encouraged to become more independent learners, selecting a topic from a wide range offered by the teacher and then researching this through a variety of media. Pupils are set clear targets and work towards creating individual final outcomes.